Much of the country is deep into the freezing temperatures and snowfalls of winter, but it’s never too early to start thinking about how you’re going to get an edge when spring water weeds emerge in full force. It can take you by surprise – especially if you didn’t take some key winter water protection steps before the cold weather set in. But have no fear, Weedoo is here! With our TC Series Workboat, there are no weeds that can ruin your summer waterway excursions. 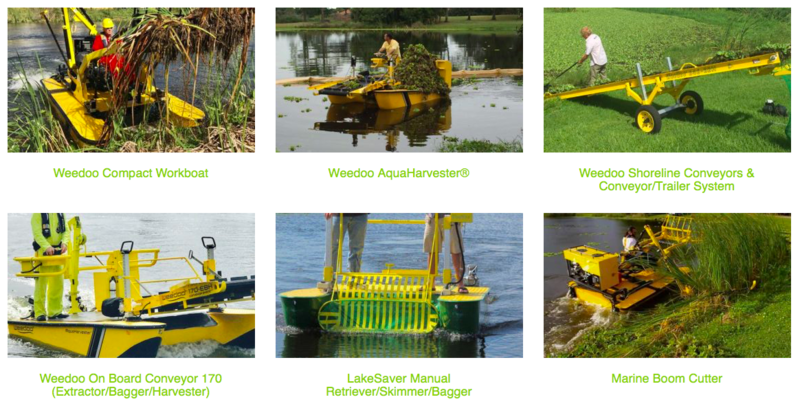 The Weedoo has equipment options that can cut weeds beneath the waterline, cut weeds along the waters-edge and shoreline, scoop heavy loads of floating vegetation and even the Weedoo SiltSucker to cleanup last fall’s leaves that will be a roaring fuel for springtime weed growth. It’s always tempting to try and tackle your water weed problems with chemical herbicides, but we always strongly recommend avoiding this. They often don’t have the intended results and usually end up causing more harm than good (see our recent article about the dangers of using copper sulfate). The other problem with chemical sprays and other herbicides is that they are ineffective when temperatures drop below 45°F. During colder times of the year, the plants have already slowed down their uptake of nutrients to nearly nothing, which means it won’t take up enough of the chemical to do it any harm. And the chemicals themselves are not effective in freezing temperatures because they weren’t designed that way. So all you’ve done is dump a bunch of toxic chemicals into your water body. Just say no! The article also presents a number of very good tips for how to fertilize lawns and gardens in a way that won’t help promote spring water weeds. Mechanical removal of water weeds is often overlooked for getting rid of water weeds because it’s very difficult work if you’re doing it by hand. But if you invest now in a Weedoo Workboat, you’ll get the edge on your spring water weeds in no time! Visit our products page to see all the different boats and accessories we offer to keep your ponds, lakes and other water bodies from becoming overrun with water weeds. If you have any questions or need more information, please contact us!